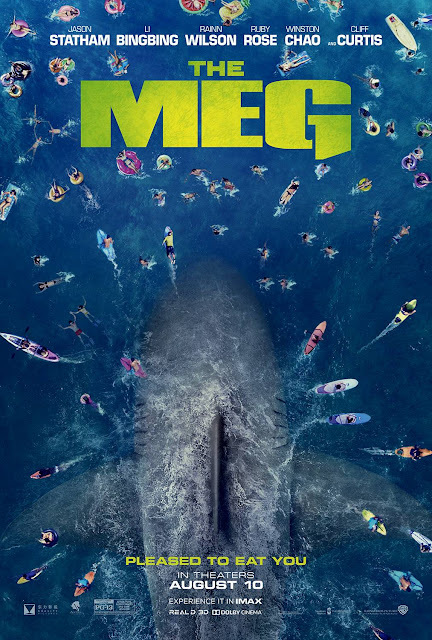 Literary manager | Producer | Ken Atchity: The MEG Poster is here! The first official trailer for director Jon Turteltaub’s hotly anticipated mega shark flick The Meg will be dropping TONIGHT at 9pm EST! Warner Bros. Pictures will release The Meg on August 10, 2018. Labels: Jason Statham, MEG, MEGMovie, movie poster, The Meg, Warner Bros.